There’s a great food and drink event happening on November 22, 2014 at the Fogular Furlan, so we thought we’d showcase it during our CTV Windsor Segment with Arms Bumanlag. Get ready for the holiday season with a delightful Italian-style evening out featuring local wines and foods from local businesses of Italian heritage. Savour the tastes of a wide selection of the Fogolar Furlan’s finest culinary foods including their polenta and toppings as well as fine Italian foods of Carmen’s Catering of Leamington. Enjoy the aromas of local fine wines from Colio Estate Wines and others. Food and drink tickets are available onsite. 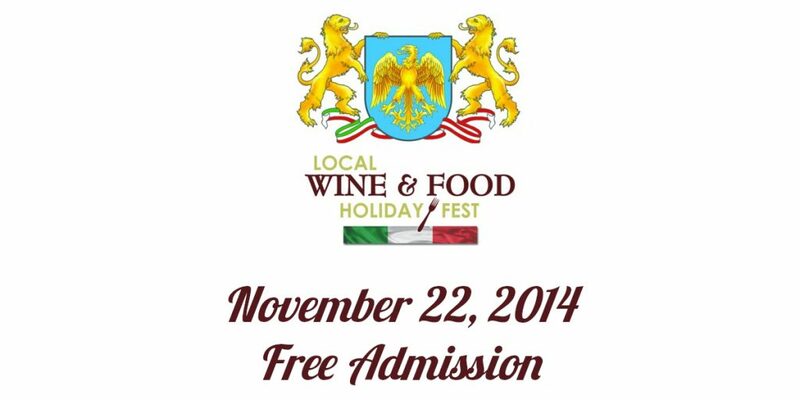 The Local Wine & Food Holiday Fest is a charity fundraising event for the Italian Genealogy and Heraldry Society of Canada. To show how tasty this event will be, we brought in a chef from the Fogular Furlan to teach us how to take two traditional Italian dishes and easily combine them into one.